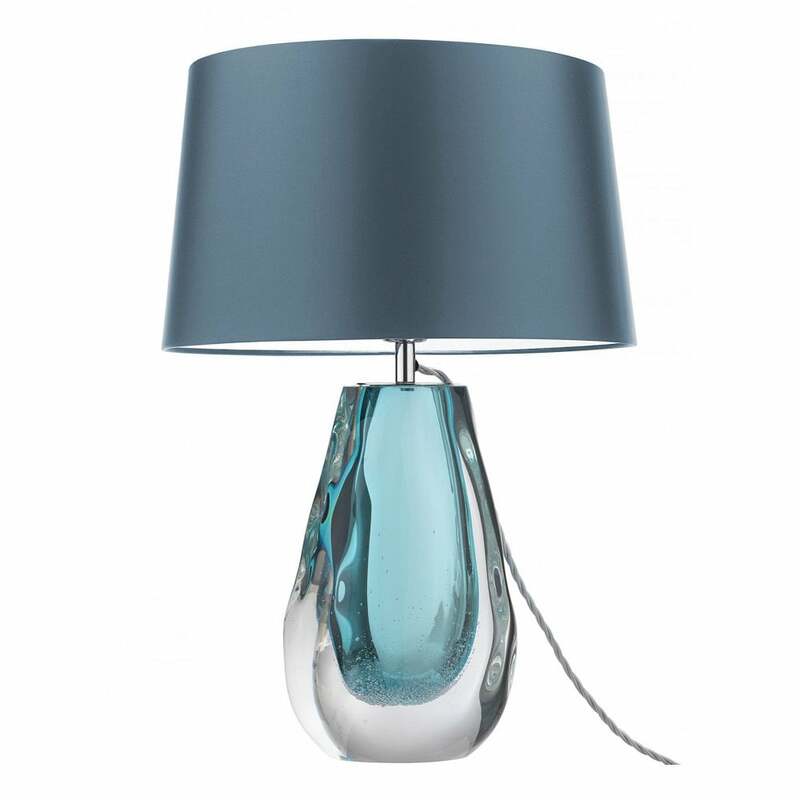 The Anya Table Lamp by Heathfield & Co has been free blown and hand formed to create the distorted and unique silhouette of the glass base. Decorative bubbles encased in the glass create unique detailing within each lamp. A droplet encased within the glass is avaialble in either peacock blue or a simple and elegant clear design. Make an enquiry for more information. Priced for 14" Sloped Oval shade in silk with white PVC lining. Please contact us for other options.